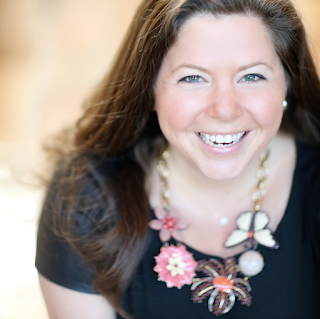 As you may know, I am a Star Stylist with Stella & Dot. 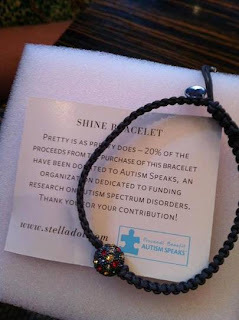 April 2nd is World Autism Awareness Day and to celebrate and help people be more aware of Autism, Stella & Dot has designed this gorgeous SHINE bracelet. This bracelet has been made in limited quantity and is being sold only while supplies last. It was designed specifically for Autism Awareness and our partnerhsip with Autism Speaks. Not only will 20% of the proceeds from this bracelet be donated to Autism SPeaks, but I will be donating 50% of my personal commissions to my local Autism Organziation as well. This bracelet is a great everyday piece. It comes on a dark grey adjustable cord with a single pave ball with hand-set crystals in red, yellow, and blue, denoting the colors of the Autism puzzles pieces many of us know! Do you want to support this cause? Head over to my website on April 1st to get your own and to help raise awareness for a cause that is so near and dear to us all! Thanks bunches for your support in this! My personal goal was orginially 50 bracelets, but have since upped it to 100. Who's in with me?! thanks for following my blog, and for writing such an interesting post- its great to learn more about this stuff.